A band from Detroit Michigan that was formed in 1964 is including this week in our playlist calls with their million selling hit ‘In the Rain’ which reached Number 5 in the Billboard Top 100 in 1972. Although without many of its legendary founding stars, The Dramatics are still going today. The Dramatics had a memorable No 5 hit in 1972 with In the Rain which we’ve fast tracked on our playlist this week. It’s an original song that used weather sound effects and sings about the heartache of broken relationships. It’s the sort of music that made 60s and 70s black music so powerful and special. It heralded a better society and stands in stark comparison to some of the violence and negativity of some but thankfully not all of today’s hip hop. ‘In the Rain’ is a soul’s sound from 1972 which was a Number 5 Billboard 100 ht for the ‘The Dramatics’ a talented groups of singer formed in 1964 and incidentally a band that’s still going although 4 key members died i between 1992 and 2018, three tragically for from heart attacks. In the Rain was the the band’s most acclaimed and biggest hit. It was number 53 in the Top 10- hits in America for 1972. It was written by Tony Hestor and the song sold over 1 million copies. 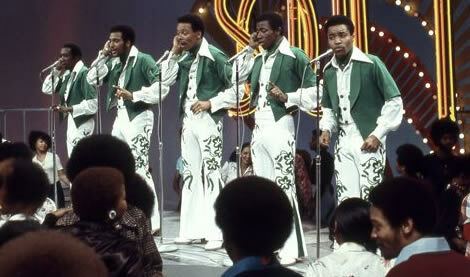 The hand had many R&B hits throughout the 1970s including a version of Me and Mrs Jones, Be My Girl and Shake it Well. In the Rain is a song about a broken relationship in an era with black singers and groups song songs that evoked powerful emotions about love and in particular the love of women. It makes a huge difference between today’s musical output. In the Rain has been covered many times by newer artistes right up today including many hip hop artistes. It has been sampled 85 times in all. We’ve chosen the song for the Capitol.fm because we love hitz music but also music that’s all about love. It’s always a love thing on Capitol.fm, your World Station and The Dramatics from Detroit, Michigan are now part of the mix. We’ve also included on some of lower tiered playlists the band’s 1971 hit, Whatcha See Is Whatcha Get which was a Billboard Top 100 Number 9 hit. The Dramatics and In the Rain confirms that soul and black music for the 1960s and 1970s had something special and the change to today’s style, while there is still some great music and hit tracks, lacks an emphasis on one thing, romantic love. A sad sign of the times.